Lily Tomlin Biography, Is She Gay, Who Is The Wife or Partner – Jane Wagner? Lily Tomlin made a mark in the American sketch comedy industry in the 1960s, creating many characters that eventually became part of the national culture. The actress, comedian, writer, singer, and producer was the first woman to make a solo appearance in a Broadway show and to star in a wide range of films and hit television programmes. In her many decades of being active in the entertainment industry, she has earned a lot of nominations and awards, including Emmy, Golden Globe, and a Grammy award. She is almost eighty years of age and at the very peak of her career. Unlike most actresses as old as her who are now struggling to get jobs, Lily is still very much wanted. Born Mary Jean Tomlin on September 1, 1939, the actress is the daughter of Lillie Mae and Guy Tomlin. Her mother, from whom Tomlin took her stage name, was a housewife and a nurse aide while her father worked in a factory. Lily was born in Detroit, Michigan, after her parents relocated there from Paducah, Kentucky, during the Great Depression; she has a younger brother named Richard Tomlin. Her dad died on October 24, 1970, at the age of 56 when Tomlin was 30 while her mother also passed on July 12, 2005. Lily attended Cass Technical High School and graduated in 1957 before moving on to Wayne State University where she originally studied biology before changing to major in theatre. She had developed an interest thereof after auditioning for a play as a friend suggested. During the audition, she discovered that she had what it takes to make people laugh, hence the switch. By the time she graduated from college, Lily started doing standup comedy gigs in Detroit nightclubs and later moved to New York, working as a waitress while pursuing her entertainment dreams. She continued studying acting at the HB Studio, making her very first TV appearance on the 1965 show, The Merv Griffin Show. She encountered her major career breakthrough in 1969 when she joined NBC’s sketch comedy show Rowan and Martin’s Laugh-In. Lily was signed to the show as a replacement for Judy Carne who was leaving and she became an on-the-spot success on the program which was already making waves. She was part of the show until 1973 and apart from making appearances in general sketches and delivering comic gags, the talented lady also started featuring as the regular characters she created. With time, the characters became popular and she started portraying them outside the show. 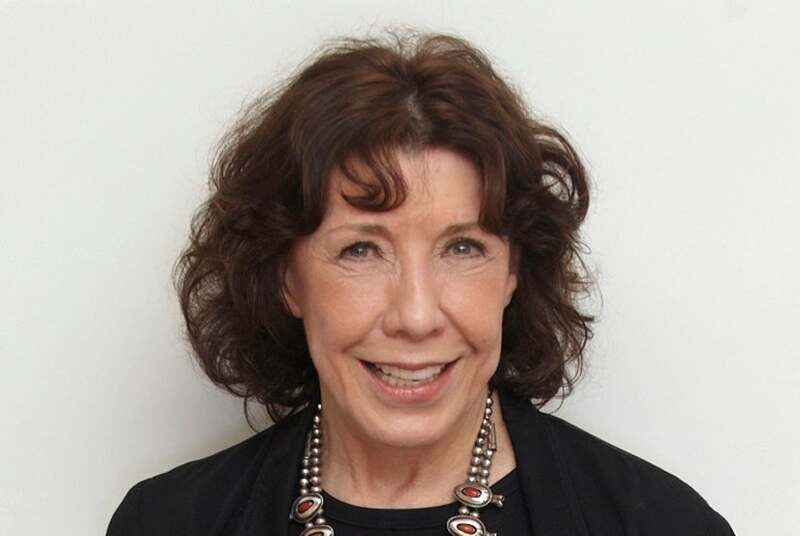 In 1974, Lily Tomlin acted as Linnea Reese in her first film, Nashville, winning various awards and nominations for the Golden Globe and Academy Award for Best Supporting Actress. For her role as Margo Sperling in the 1977 movie, The Late Show, she also won an award for Best Actress at the Berlin International Film Festival and was nominated for the Golden Globe and BAFTA Award for Best Lead Actress. Among her other well-known films are 9 to 5 (1980), All of Me (1984), Big Business (1988), Flirting with Disaster (1996), Tea with Mussolini (1999), I Heart Huckabees (2004), and Grandma (2015). Lily Tomlin is also the voice of Ms. Frizzle on The Magic School Bus. Her first Emmy Awards came in 1974 for Lily, her own television special which she wrote and produced herself. She also recorded and released a comedy album, This Is a Recording, in 1972 and won a Grammy for it. Following her lifetime of contributions to the American culture, she was in 2014, rewarded with the Kennedy Center Honor. Three years later, she received the Screen Actors Guild Life Achievement Award. Presently, Lily has been acting as Frankie Bergstein on the Netflix series, Grace and Frankie. She has won Emmy nominations for four consecutive years since its debut in 2015. Is She Gay, Who’s The Wife or Partner – Jane Wagner? Some years after her career in the entertainment industry took off, accompanied by eventual popularity, a lot of people began to wonder if Lily was married. As there was no info about any man she might have been in a relationship with, people outside the industry started questioning her sexuality. However, everybody in the business knew she was gay and about her then partner-turned-wife, Jane Wagner. Jane Wagner, a writer, director, and producer, is best known as Tomlin’s comedy writer and collaborator. She was the brain behind Tomlin’s one-woman Broadway show, The Search for Signs of Intelligent Life in the Universe, for which Tomlin won the Tony Award for Best Lead Actress in a Play. They also worked together on the movie, The Incredible Shrinking Woman. The duo first met in March 1971. Tomlin had seen the after-school special Wagner wrote and invited her to collaborate on a comedy album she was working on. Speaking in a 2006 interview with Metro Weekly, Lily Tomlin said she was pretty taken with Jane as soon as she saw her, “We just sort of clicked. We became a couple right away” she added. Despite being madly in love with her partner, The Grace and Frankie star chose to keep her sexuality private for several reasons. She once disclosed that her mother would have literally died if she had lived to see her come out as gay. Lily and Jane finally made their relationship official after 42 years of being together by legally getting married on New Year’s Eve just as it turned 2014. The wedding ceremony was intimate and took place at a friend’s house. Meanwhile, a few days before then, they concealed their identities to get their marriage license because they did not want anyone to see and write about them. The couple has no kids and according to Lily, she is glad about it. Although she likes children, she said there wouldn’t have been room in her life to raise them because she was so involved with her career.